All About History is the new, action-packed history magazine that?s bursting with information on times past. Be inspired by the amazing stories offered by world history, from the complex society of ancient Maya to the dark motivations of the great dictators. 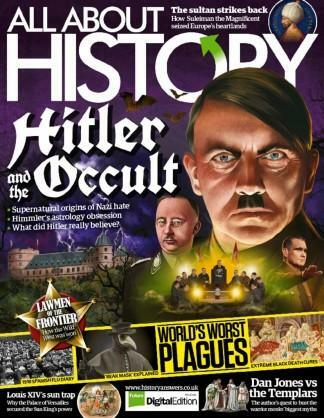 Every issue, All About History features a huge range of topics as rich and diverse as history itself and strives to show how events from the past shape the world we live in today.This is a magazine that aims to entertain and enthral readers of all ages while they learn about past events. There?s no stuffy academic essays or squabbling professors, instead it?s bright and engaging with stunning photos, illustrations and infographics that bring the past to life. Written in a style that makes even complex subjects easy-to-understand, All About History is guaranteed to create a desire to discover more.With every issue of All About History comes a wealth of accessible and entertaining information on history from all countries, cultures and eras. With fantastic, world-leading features covering the most amazing real-life events, this magazine will grip anyone who has fallen in love with history through school, film, TV or books.